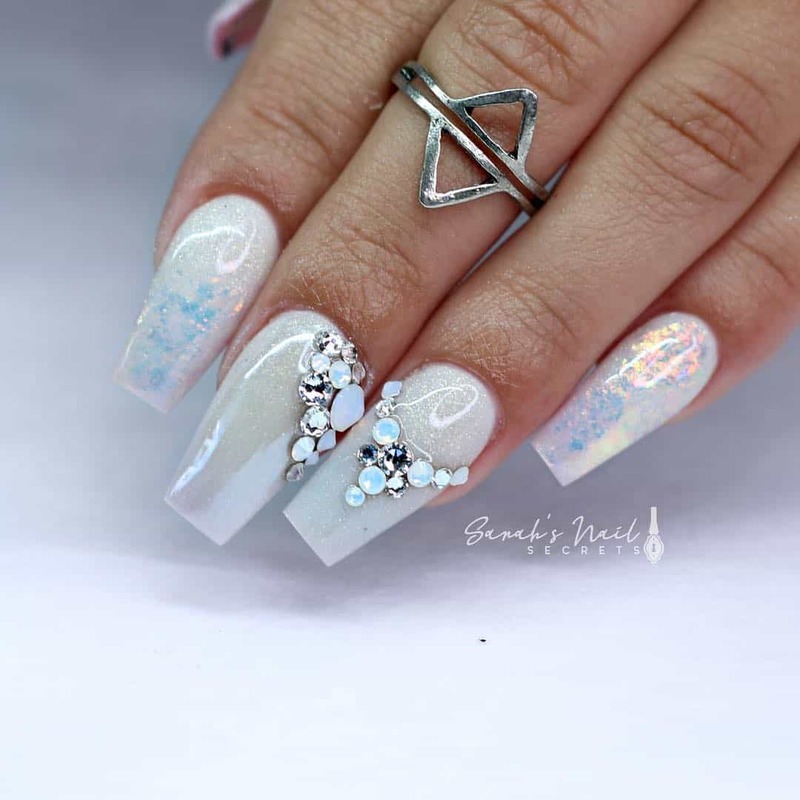 Artificial nails have become a time saver as well as a life saver in many of the situations. 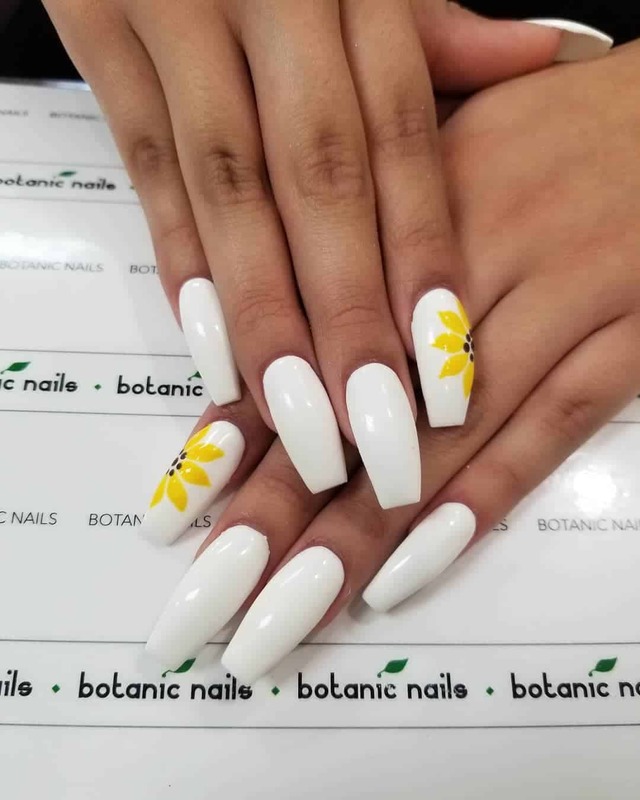 Whether you wish to go out for a sudden party or need to get groomed in no time, the acrylic nail designs are the absolute options to go for. 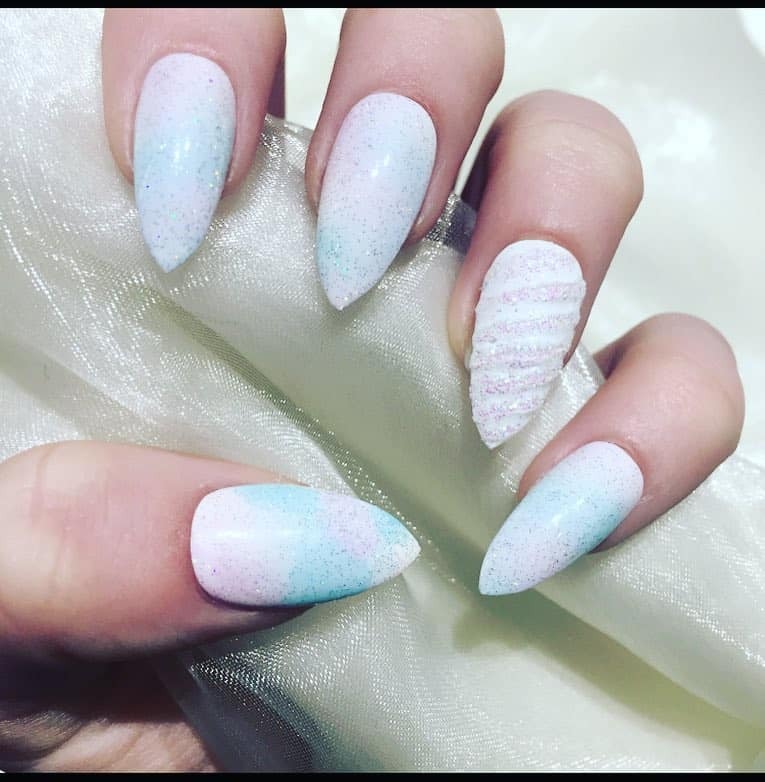 So which color do you think is in trend these days? 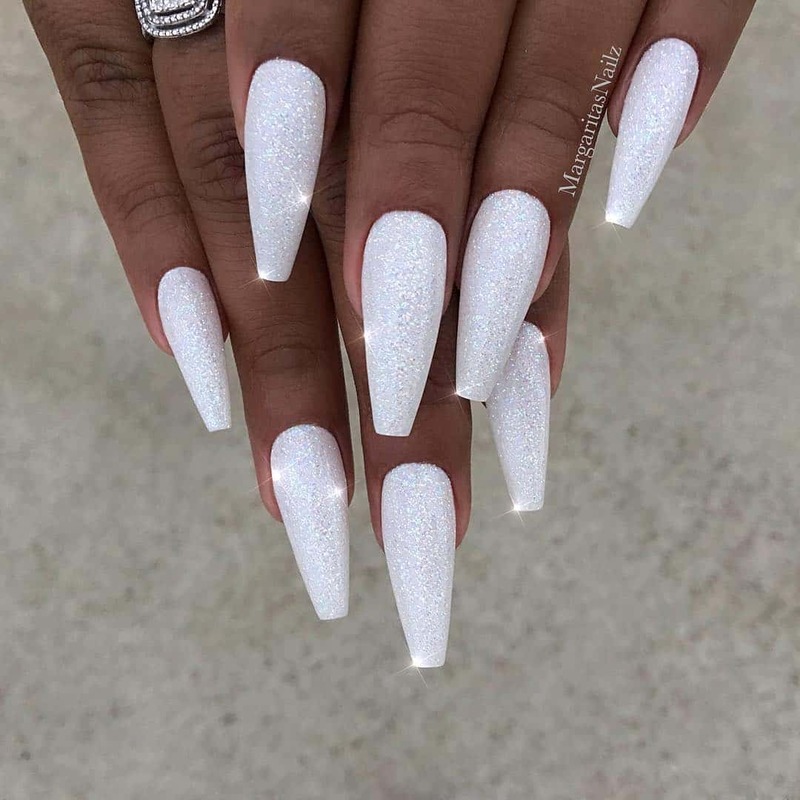 Well, white is the color that never goes out of trend and is the safest one to choose from many others. 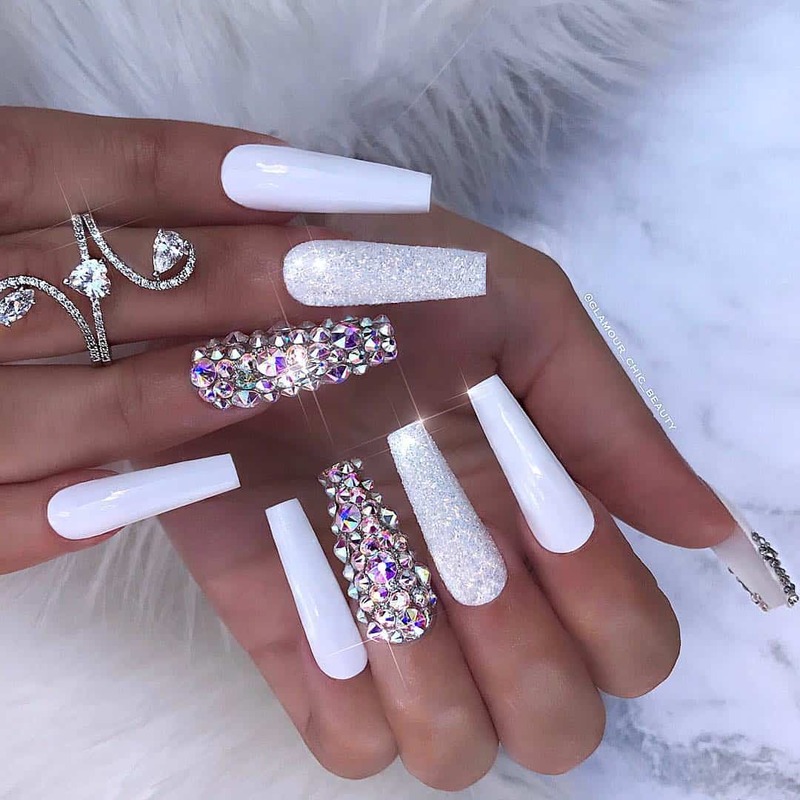 Whether you are out for a formal event or wish to attend a casual function, the white acrylic nail designs look best on everything that you are wearing. 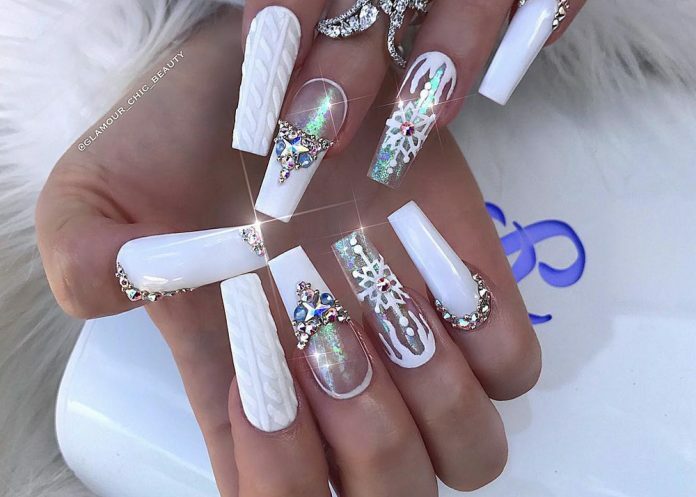 Looking for some of the greatest options in white acrylic nail designs? 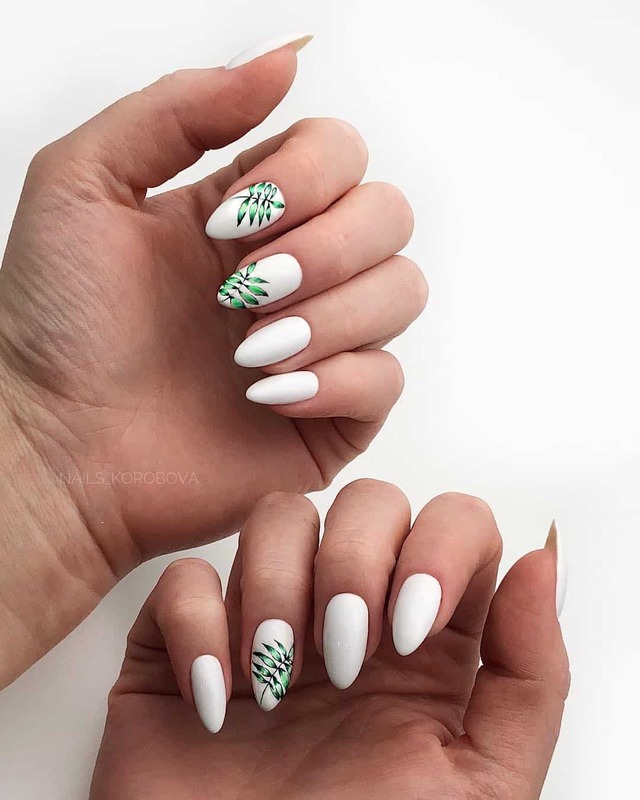 Here are some of the trendy ideas that you can go for. 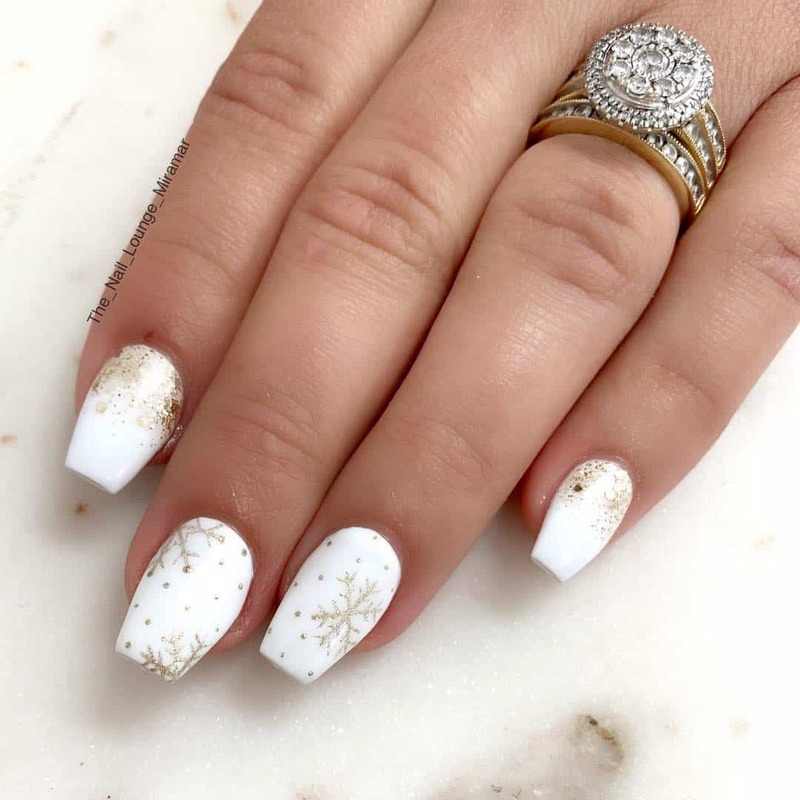 Wish to glitter out in amidst so many other people in the party? 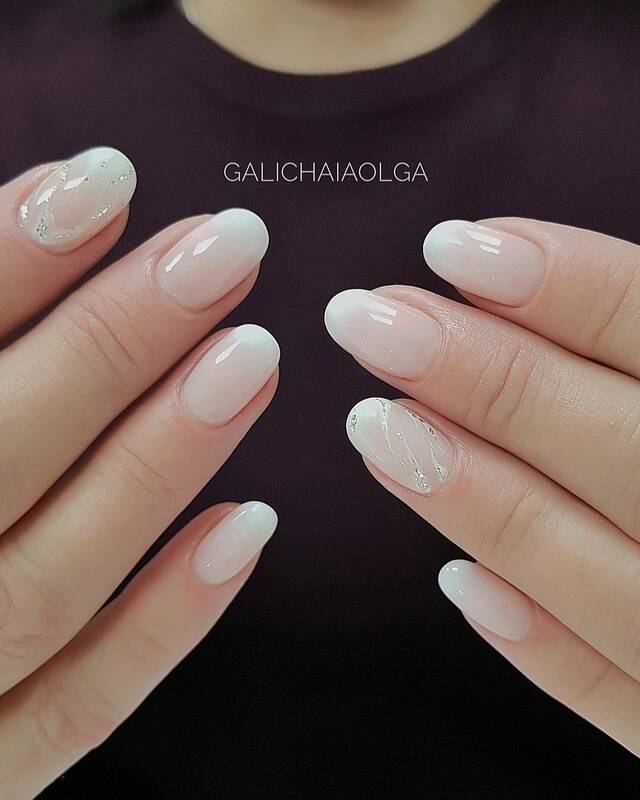 Why don’t you try out the white acrylic color with rhinestone? 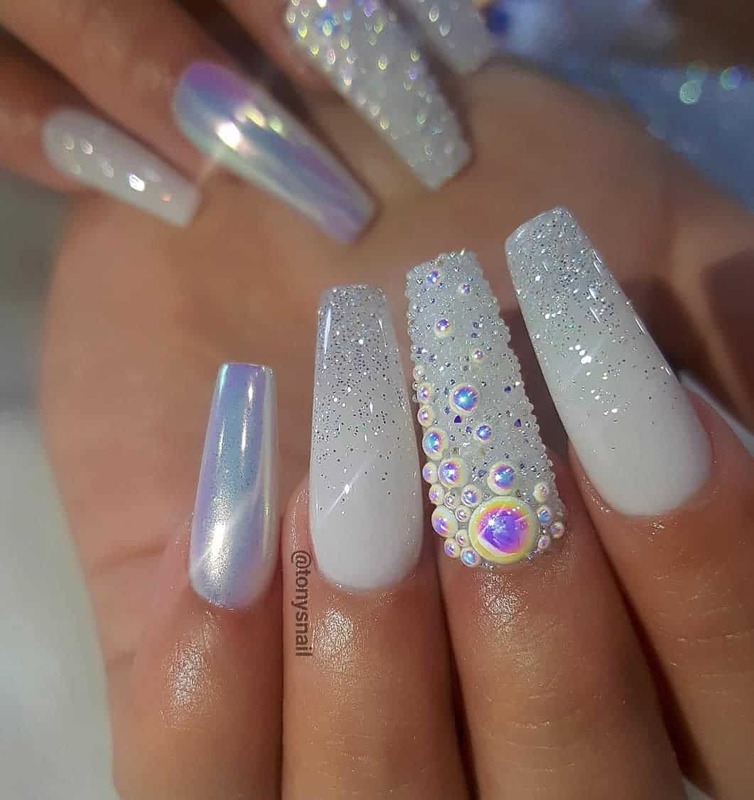 Apply 2 to 3 smooth coats of the polish on all your nails and then design your ring finger nail with some of the glittery rhinestones. 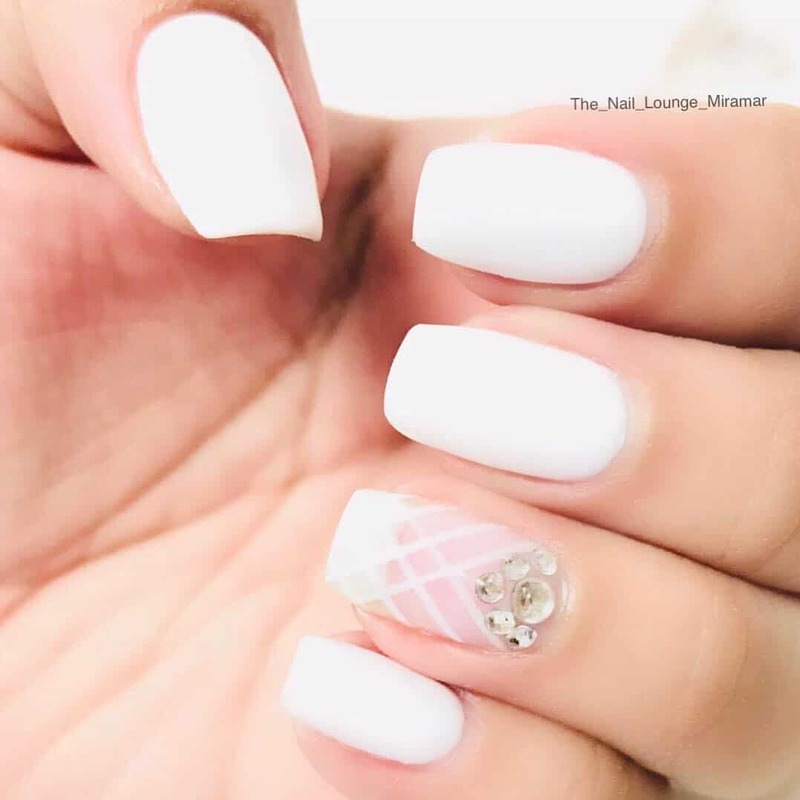 The design looks great on all types of options such as oval nails, square nails, and even the short ones. 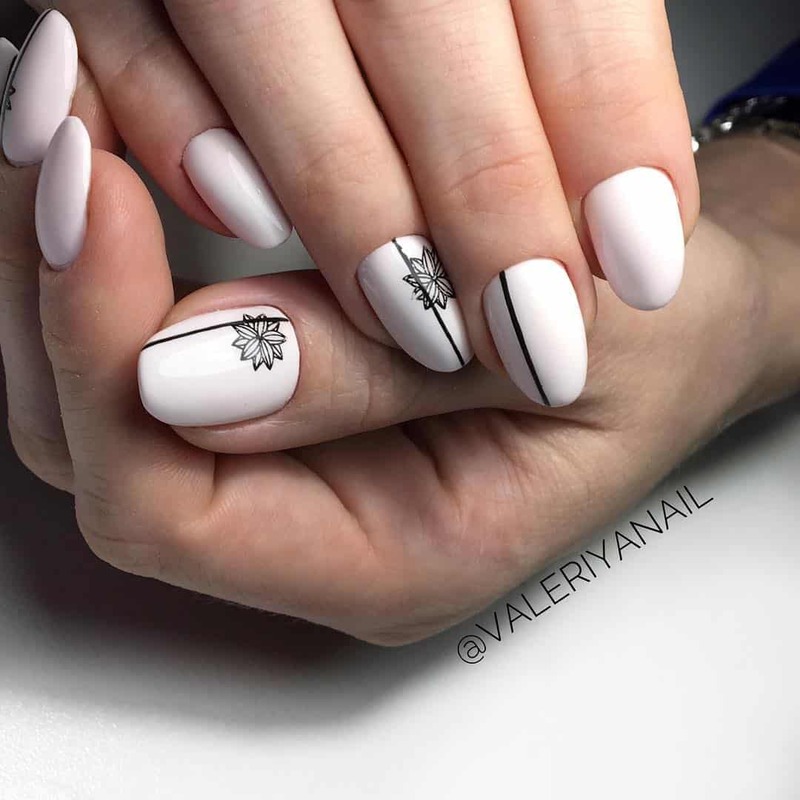 It never goes wrong when you are applying the white coat on your perfectly manicured nails. 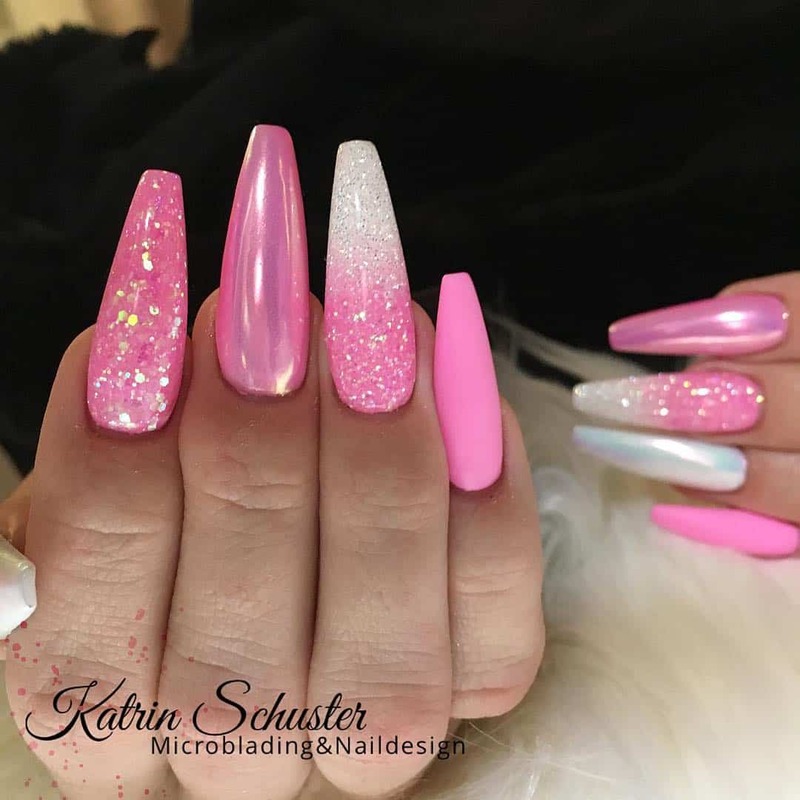 To add up the beauty, make use of the pink colored rhinestones on your accent finger. 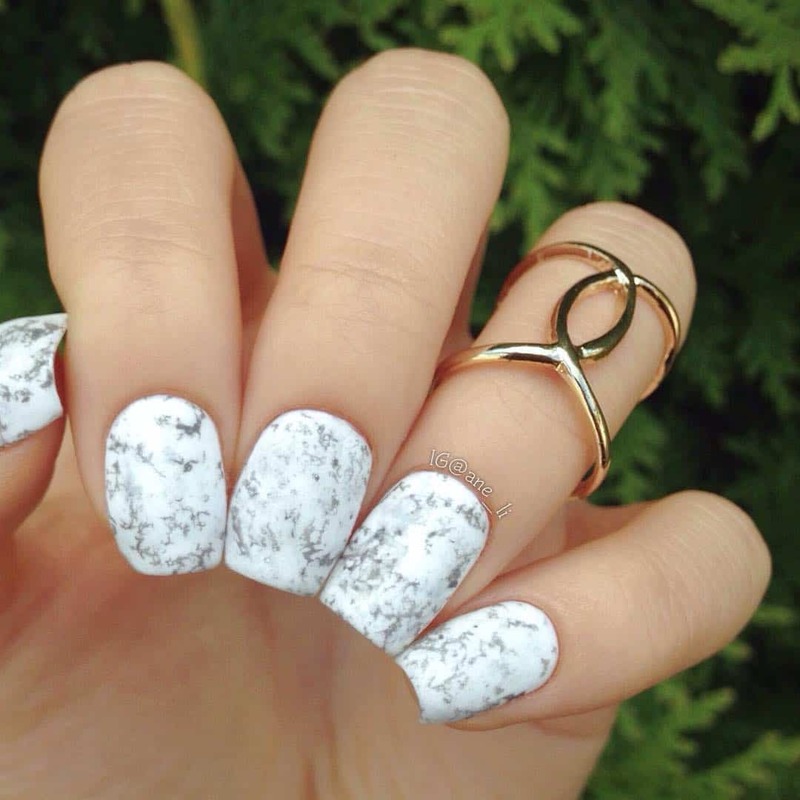 You can make use of various patterns such as stars or flowers and so on for your stones. Wish to keep it without the stones. 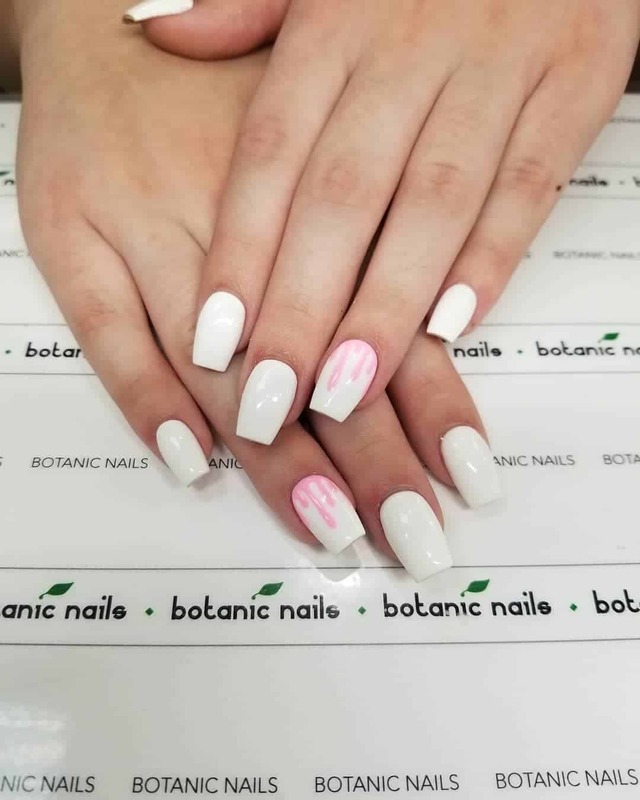 Still you can beautifully make use of the pink shade on your white paint to display the combination. 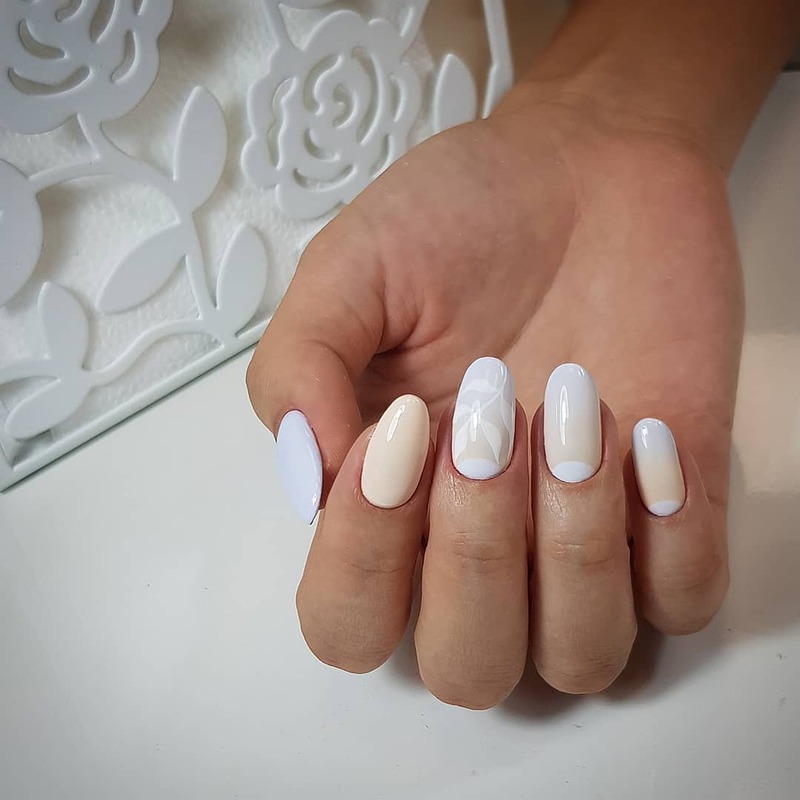 If you think that the white coffin nails that you have are quite simple for a party, you can try out some amazing tricks on them? 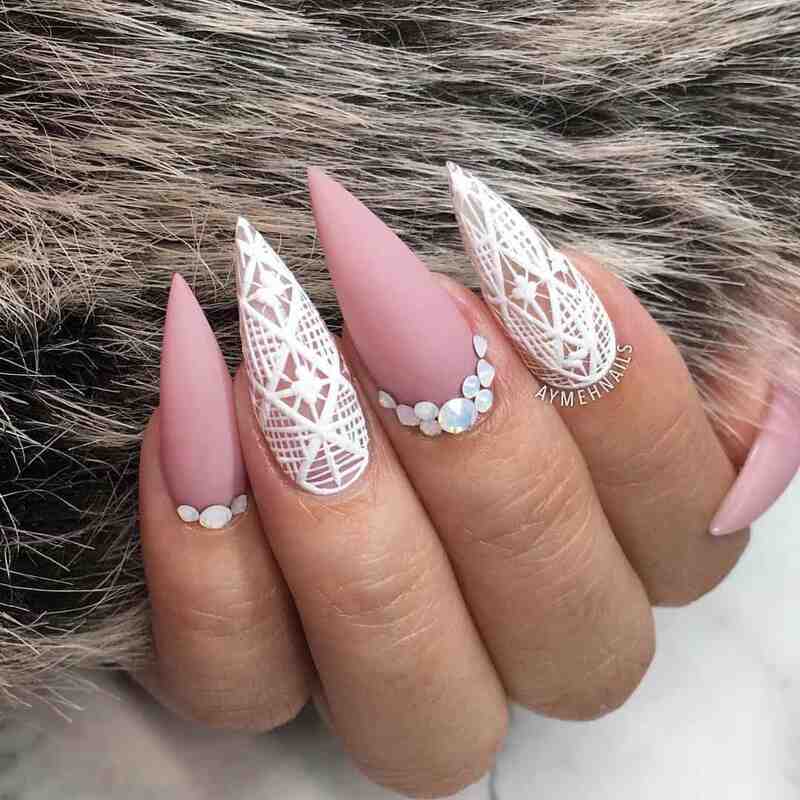 There are so many things that you can do with your nails. 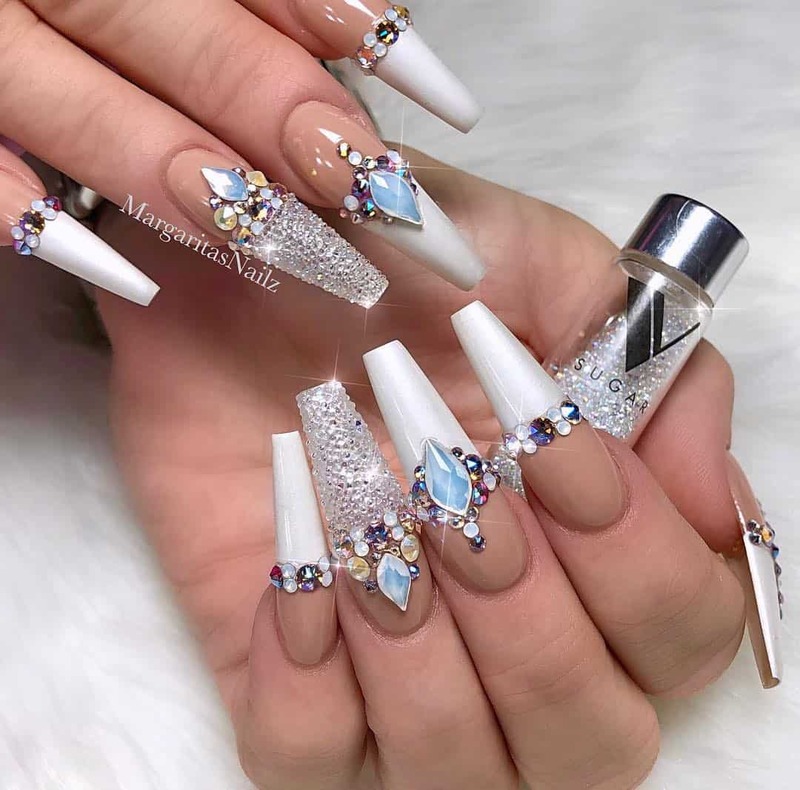 You can make use of the stones, you can use mani polish on one of the nails or even can make a combination of some other color with the white paint. 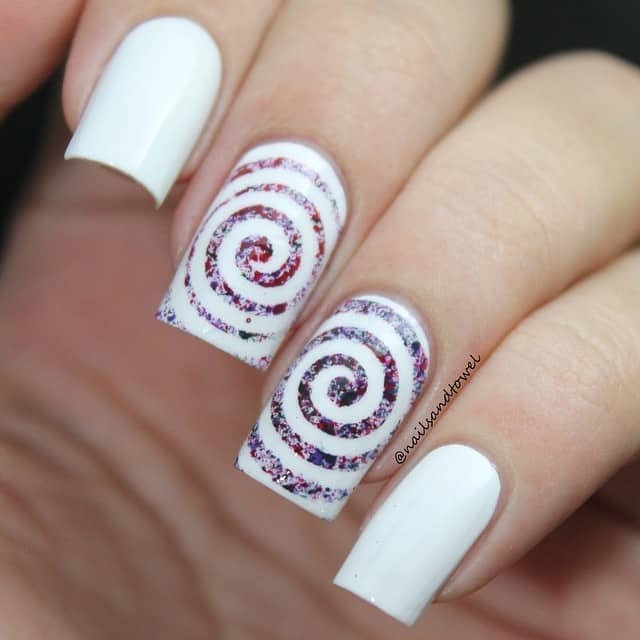 The benefit of the oval nails is that it makes your nails look longer and also much delicate. 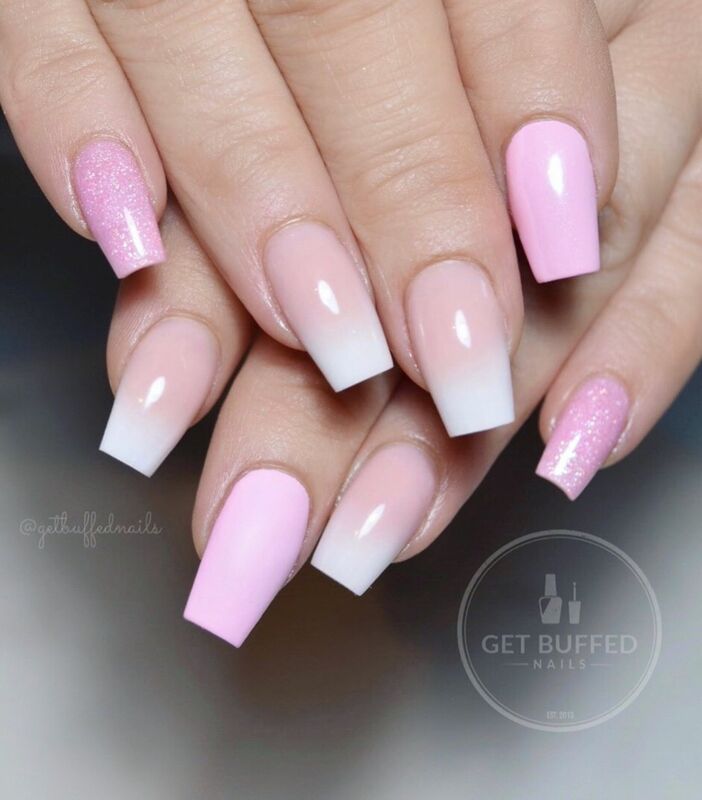 You do not have to put in much effort in beautifying them. 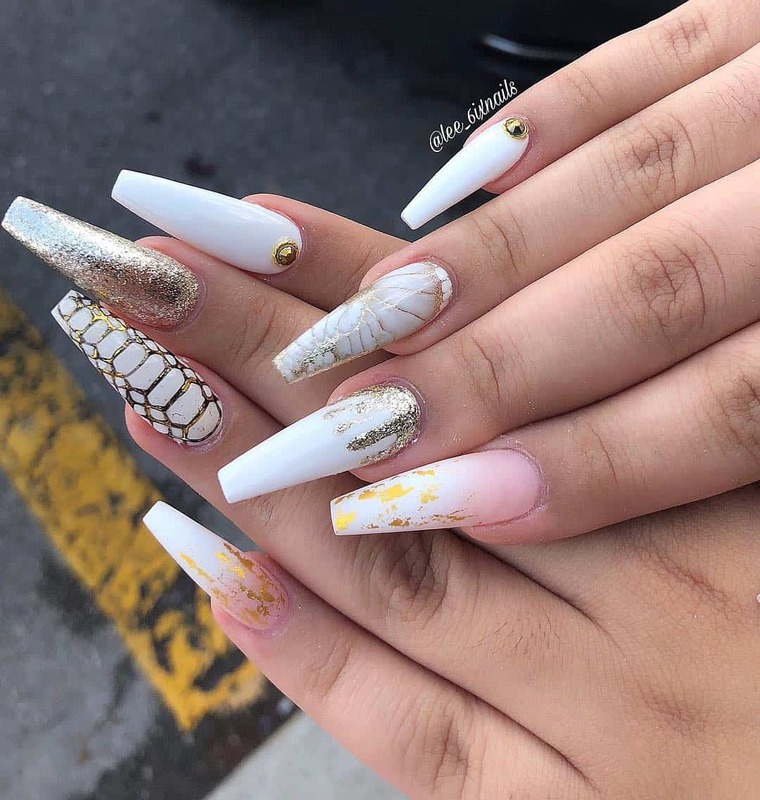 You can add up just a little touch up of a few stones at the side corner of the white painted nails and the work is done. 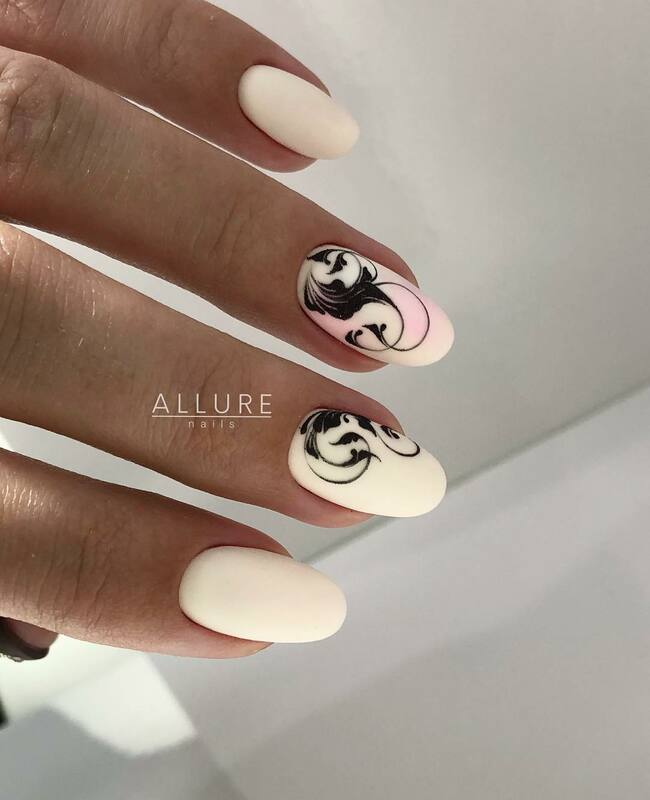 The world is going crazy over nail arts today. 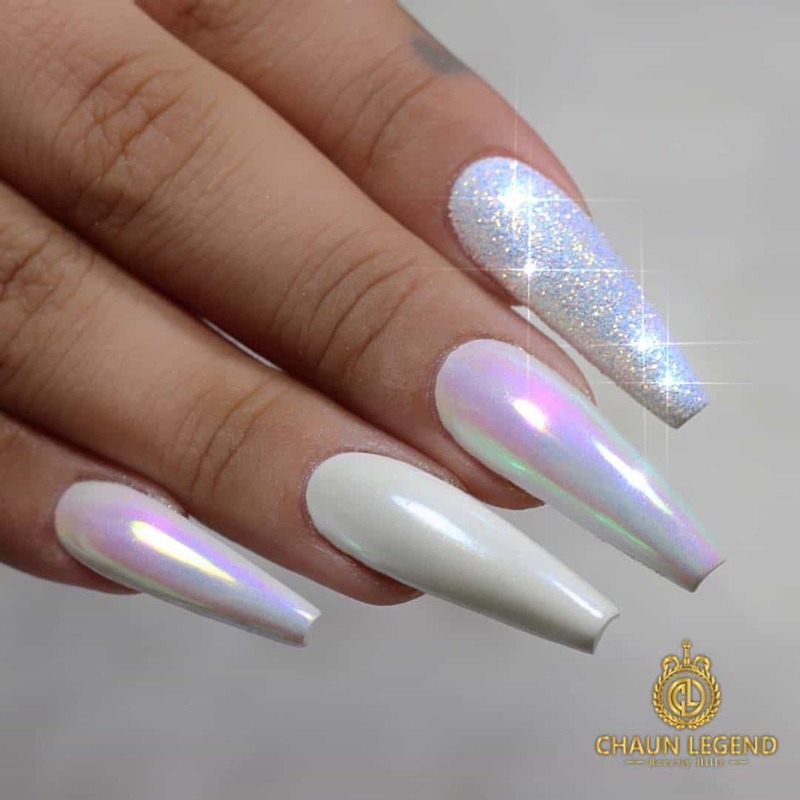 White acrylic is the perfect option on which different nail arts can get highlighted in the best possible way. 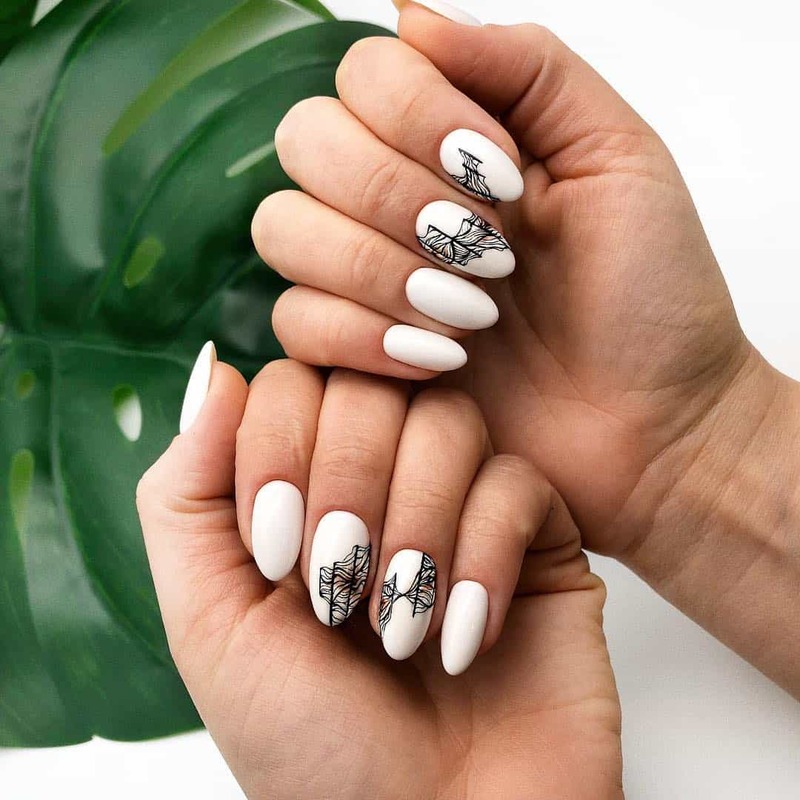 Try out different stickers, paints, and so on as per your wish. 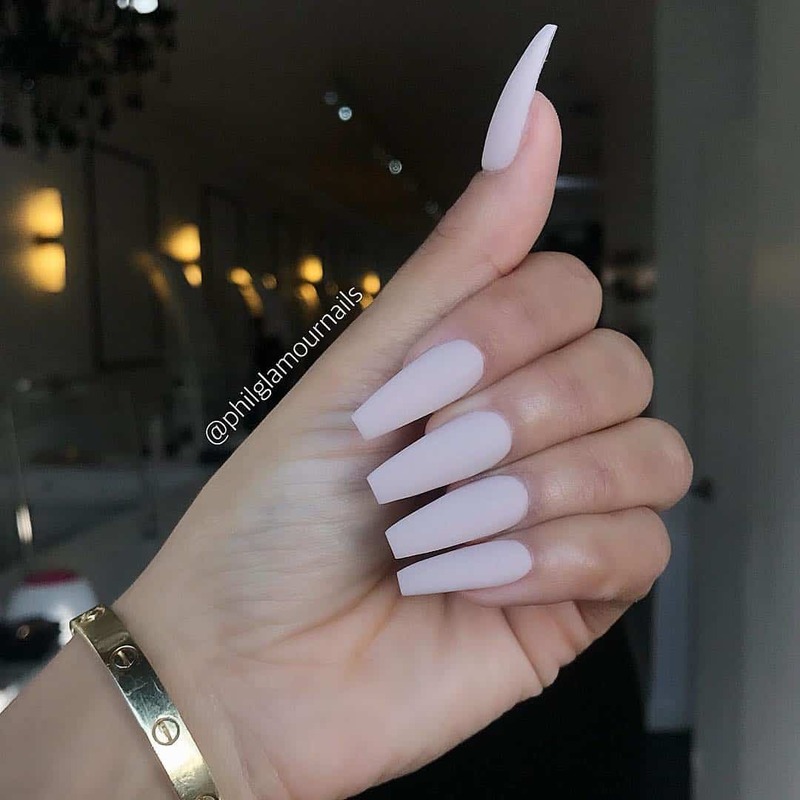 Shiny nails are always known to attract views. 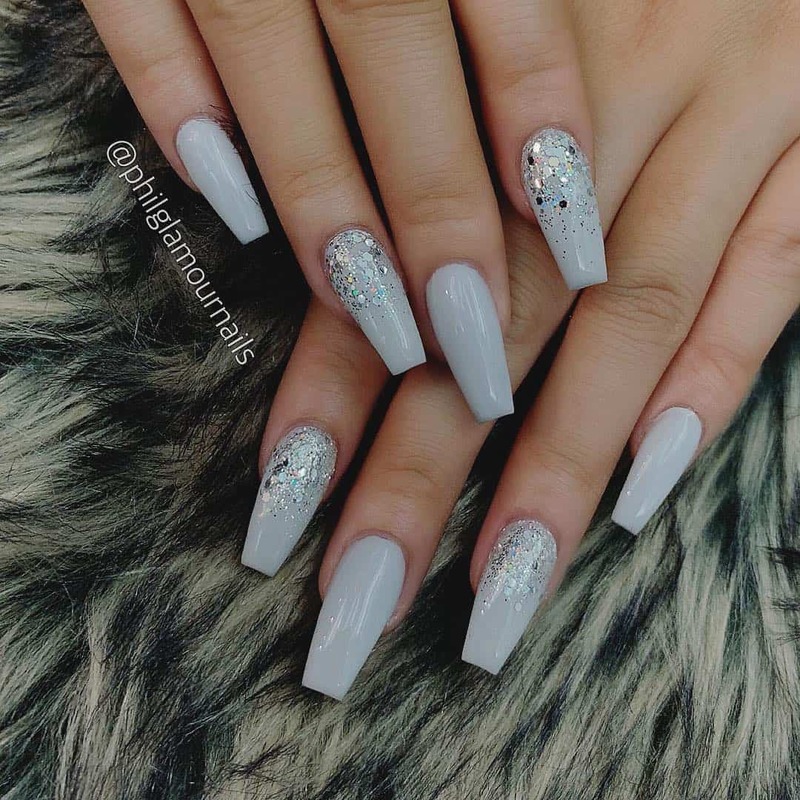 Apply two or three coats of the shiny white acrylic nail paint and adorn it well with either silver shimmers or rhinestones. 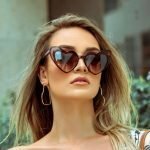 Are you someone who loves to be the point of attraction? 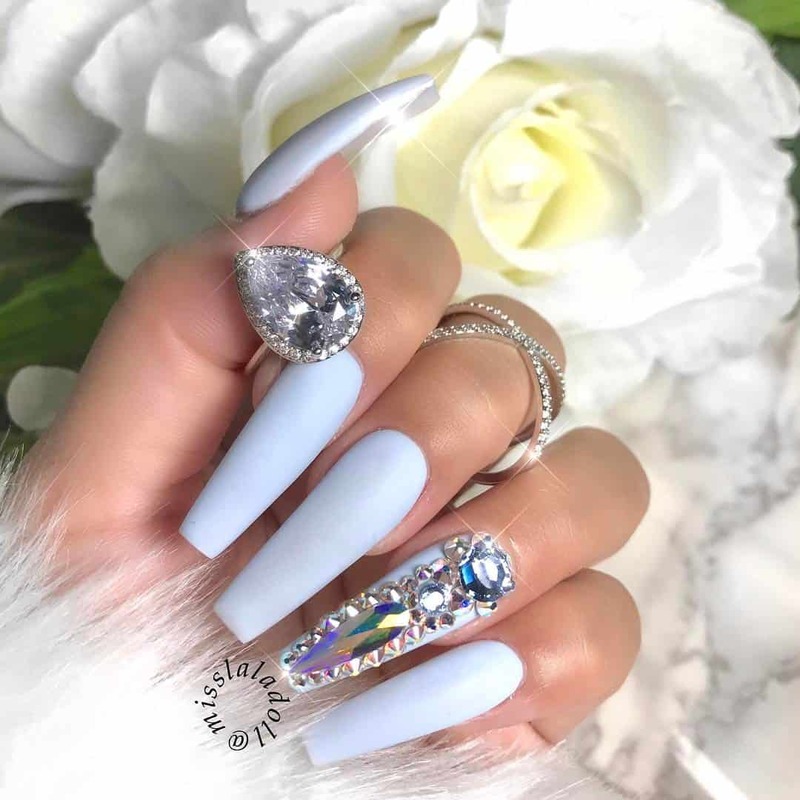 Well, with this amazing trick, you can play with your hands while talking and show off your pretty nails always. 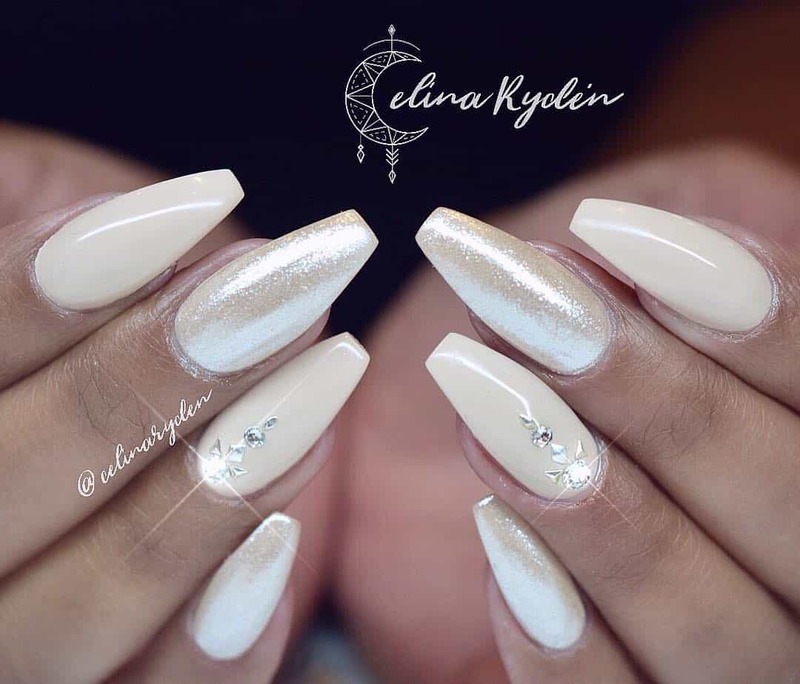 Try out golden shimmers at the edges of the finely manicured and white acrylic painted nails. 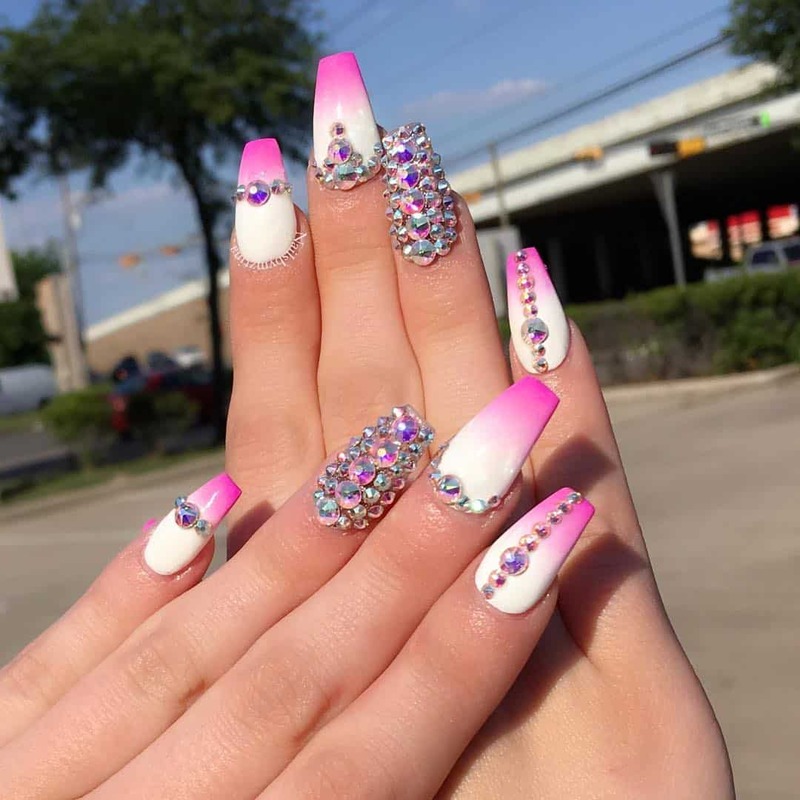 Also, you can make use of the colorful sparkles and stones to beautify your nails. 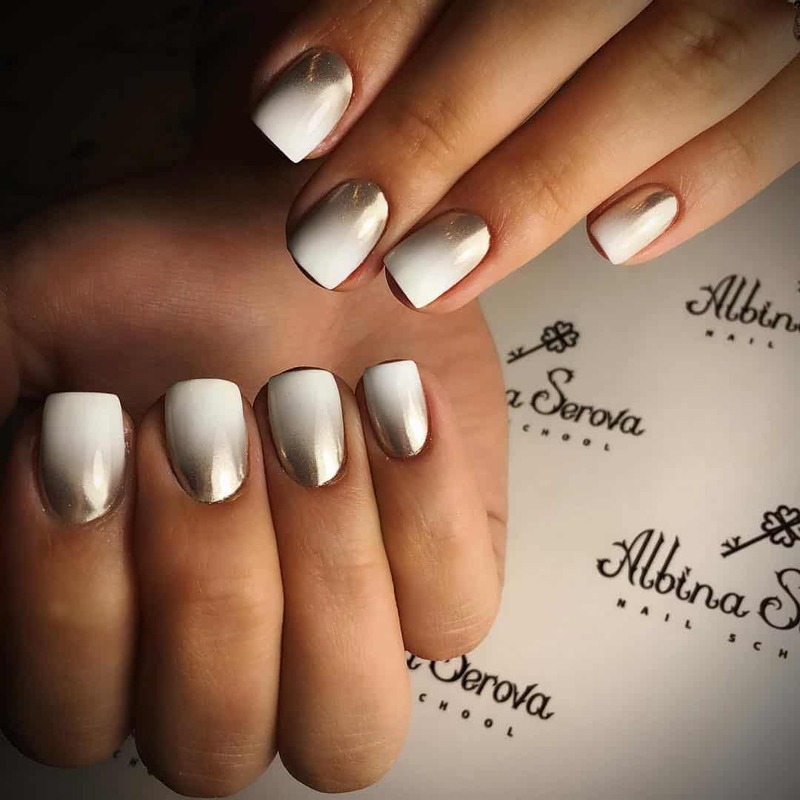 Along with your face makeup, beautifying your nails is equally important. 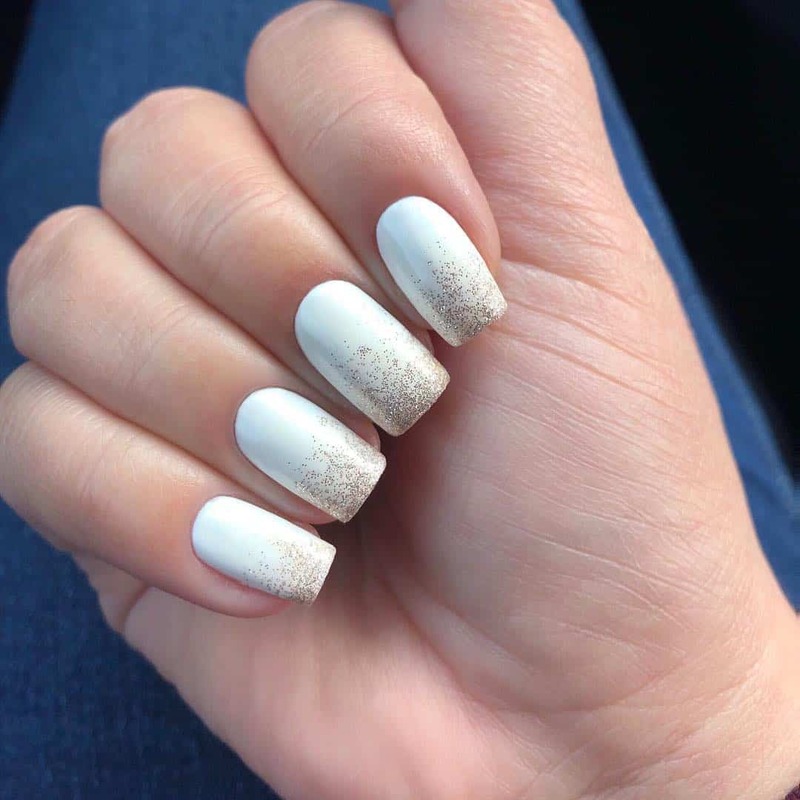 There are so many different shades and options available for the purpose. 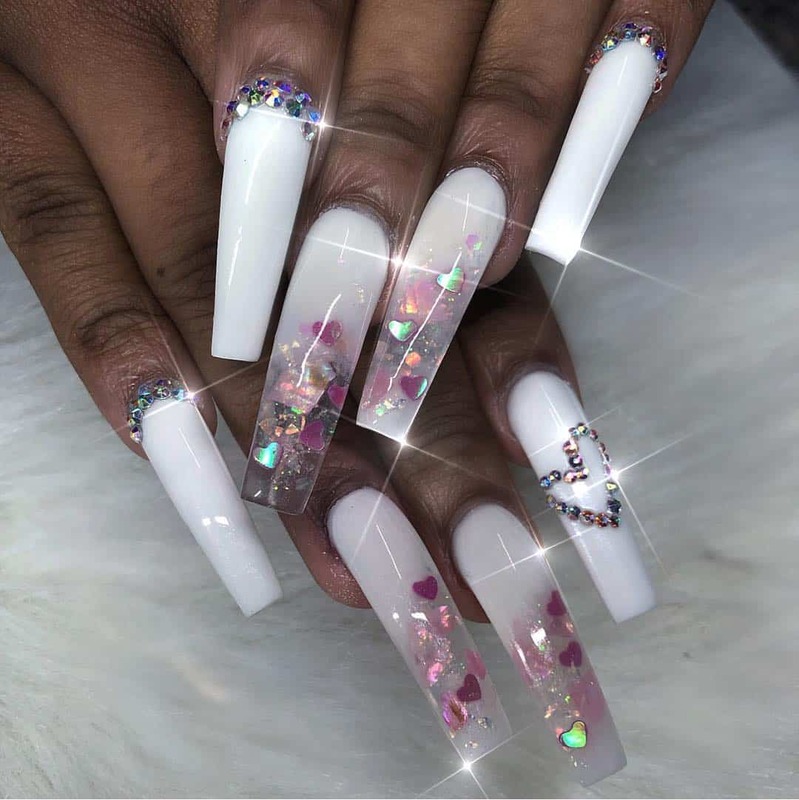 But if you are someone who are in love with the white acrylic nails, trying out the above-mentioned design ideas can add up to the beauty even more.